Blogging is one of the best ways to make money online and build a successful business from the comfort of your home. As a blogger, you can easily achieve the kind of income and business success most people achieve in years in months. All you need to do is look for a particular section of a niche you would like to focus on, work on creating an attractive and unique blog people want to read, and then work on delivering the best of your content on a consistent basis. Over time, you will be able to amass a great audience that is always happy to read whatever you write, and as time goes on you will find it easy to monetize your blog and make money from it. One of the best ways to make money as a blogger is through affiliate marketing. Since your duty as a blogger is to publish regular content in a particular field tailored towards helping people find solutions to their problems you can easily make money by recommending affiliate products that help them solve their problems. In most cases, if you have the right audience, you can easily make a lot of money the week you review a particular affiliate product, but you can also take it a step further by optimizing your review for the search engines, building backlinks to your review page and driving a lot of traffic to it in a way that will help you make a lot of money from it on the long run. Another way you can quickly make a lot of money from every affiliate products you promote is by using coupons. Whenever you give people coupons or an incentive to buy the product you recommend a lot of them will be happy to buy from you, and as a result lead to more income for you. 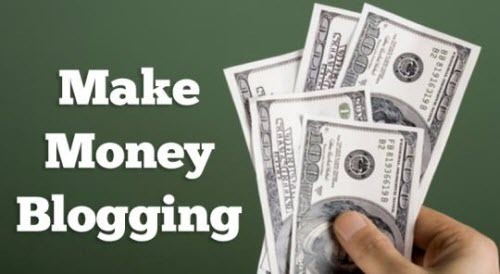 You can also make money from your blog through advertising. Advertising can be in many forms. It can be through you getting people to sponsor your blog – in most cases these sponsors will have banners on your blog, and you will also be writing a review post for them every once in a while. Making money through sponsors only works well for very big blogs. Another way to make money through advertising on your blog is by displaying banner ads or using contextual advertising services like Google Adsense. If you’re able to build your blog to a successful stage you can easily make a lot of money consistently through ads. You can also take your blog monetization approach a step further by introducing premium content on your blog. This is a kind of content available only to a set of your readers, who will often pay a monthly fee or a one-time fee to be able to access your content. Your approach towards monetizing your blog using premium content will vary depending on your niche, but another great idea is to create a membership site. What Exactly is The Meaning of Niche? 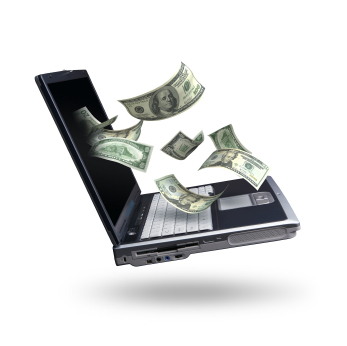 Bloggers make a lot of money through affiliate marketing. It is a great source of income for them. Great article. Keep up the good job bro. I am using Google AdSense and other ads program. but Google adSense is BEST forever! i have earned 4 figures amount through my blogs, but recently reduced due to irregular to blogs. « Is Cell Phone Insurance Worth it?